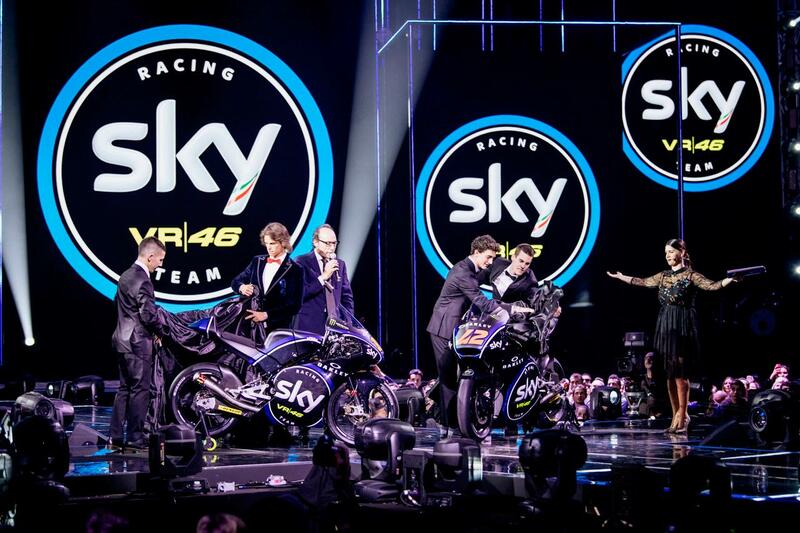 Valentino Rossi’s Team Sky VR46 Moto2 and Moto3 teams have pulled the covers off their 2017 machines live on Italian TV, with the link-up with broadcaster Sky giving the four riders the chance for a guest appearance on Italy’s version of hit talent show X-Factor. 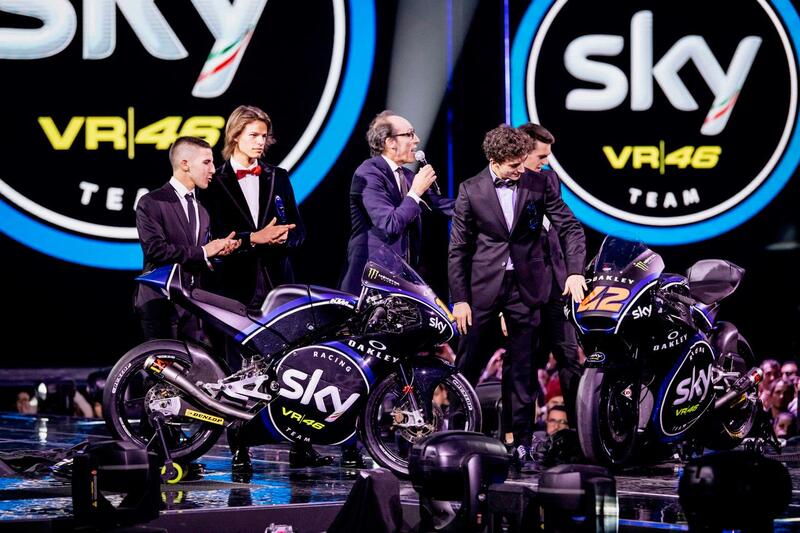 With the team expanding into the middleweight class for the first time next season, Moto3 riders Andrea Migno and Nicolo Bulega were joined on-stage by class rookies Francesco Bagnaia and Stefano Manzi to show off their new KTM and Kalex machines. The team have also announced a major new partner in the form of sunglasses firm Oakley. A personal sponsor of team boss Rossi – and producer of his online of custom sunglasses – they join Monster Energy, AGV and Dainese as key sponsors on the black-and-blue liveried machines. Both teams will be looking to make their marks on their respective championships next season, with Bulega and Migno expected to graduate from occasional podium finishers to regular winners, while rookies Bagnaia and impressive Silverstone wildcard Manzi can challenge for the top three in Moto2.